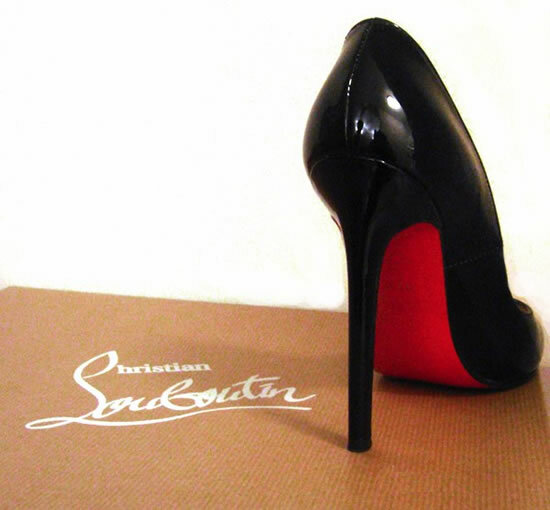 If a shoe is going to drop, please let it be a Louboutin. Living with a chronic mental illness often feels like waiting for the other shoe to drop. Well, the proverbial shoe has dropped (it’s stylish at least). I’ve been struggling for a while, but I’m finally coming around to admitting it. Despite seeing therapists on and off for nearly 10 years, I still find it hard to communicate how I feel. But even more difficult is being honest with myself about how I am feeling. So I guess this is sort of a litmus test. Will confessing how I feel get me out of denial or will I continue to keep my head in the sand and ignore it? I’ve been battling semi-regular panic attacks for the past six months. My first panic attack in years happened in March. 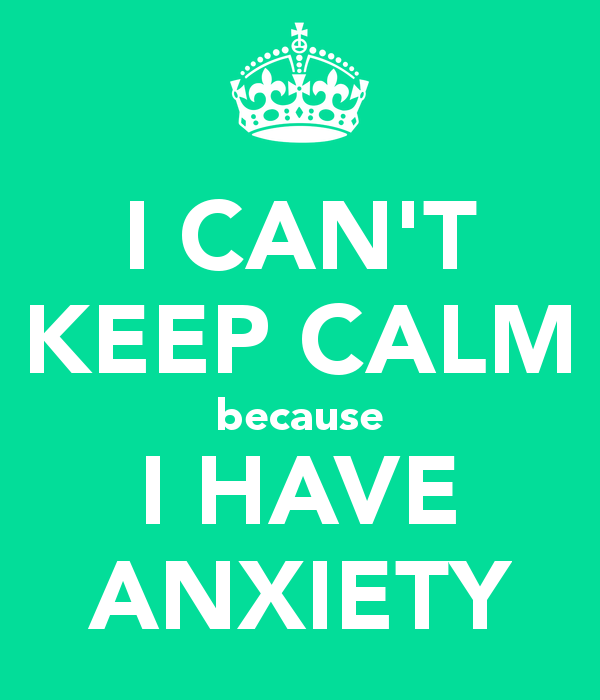 As with most panic attacks, they happen at the most inopportune moments. This particular one happened during the middle of a concert. I was at a bar that was packed with drunk hipsters, tossing their bodies carelessly to the music. I began to feel claustrophobic among the ever-increasing press. The bass of the music reverberated in my chest, amplifying my pounding heart. The bar was too hot. The walls were closing in on me. I couldn’t catch my breath. My heart felt like it was going to explode out of my chest. I had to get out of there. My husband and I snaked our way through the crowded bar, each time someone bumped into me, a jolt of adrenaline coursed through me like an electric current. By the time we made it to the door, I was in the throes of a full-blown panic attack. These situations are incredibly frustrating. As I was leaning against the building, among the smokers and couples making out, I couldn’t help but cry. I was having such a great evening before this. My husband and I enjoyed an incredible dinner before the concert. We were hanging out with friends, listening to an amazing band. And then I had to leave before they finished their set. Compounding my anxiety was the fact that the friends I was with had no idea what was happening. As we left, I mumbled excuses about having to catch the last metro. Panic attacks are like getting the stomach flu right before an event. Except instead of knowing before that you were cancelling to puke in the safety of your home, you’re suddenly vomiting in public (lovely imagery, I know) and rushing out of the door. After this first attack, I started seeing a therapist (who was a former psychiatrist) for the first time in about four years. She’s an incredibly lovely lady. She suggested that I exercise more and cut out caffeine and sugar. I started working out every day, reduced my caffeine (I haven’t had a coffee that wasn’t decaf in three months) and tried to avoid sugar as much as humanly possible. Except, none of this helped and the panic just got worse. As my anxiety levels increased to nearly intolerable levels, sleep became a joke (despite already taking medication that is supposed to help me sleep). I can’t tell you the last time I have slept through the night. Finally in May, after not sleeping for about four days, I was given anti-anxiety medication. I often pair my nighttime pill with my anti-anxiety meds, but I still wake up in semi-terror, feeling like I have forgotten something important. Other nights I just toss and turn unable to sleep at all. But lately, it’s more than panic plaguing me. An encompassing sadness has attached itself to me like a shadow — following me wherever I go, no matter what I do. I’ve had this feeling before, it’s certainly not new to me. It’s just been a while. I know it’s depression waiting in the wings. I know that if I don’t fight it hard enough, it will envelope me completely. So everyday I force myself out of bed and go to work. I force myself to keep plans and socialize because I know that if I don’t, I’d spend my weekends in bed, reading or watching TV until Monday. 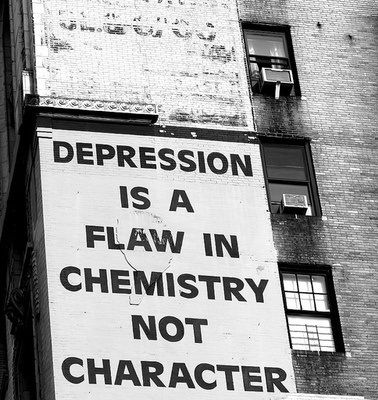 I know that depression is never fought by being a hermit. Sometimes it works and I end up enjoying myself out with friends but other times, I just wish I was in bed. Nothing comes easily right now — including writing this. Stringing words together has always come easily to me and it’s frustrating to feel like there’s a dam blocking my flow of words (perhaps that’s why I resorted to a scatalogical simile earlier). But the worst part of all of this is watching the concern on my husband’s face. I know as I stare silently into space as we watch TV, his mind is running through worst case scenarios. Is she thinking about killing herself? Is this going to result in another hospital stay? Will I catch her self-harming? How concerned do I need to be? You may be thinking that these scenarios may seem a bit extreme, but the fact is that we’ve gone through all of them, and only four short years ago. My parents have been extremely supportive through the ups and downs of my illness, but they don’t have a choice — I’m their kid. My husband always had the option to leave and he didn’t — even when I have repeatedly encouraged him to. Even if his worst case scenarios have happened in the past, the reality of this recent sadness (I am still reticent to name it depression, for now) is that I’m not in that headspace. I refuse to resort to self-harm at 28 years old. I’m not thinking of suicide as a viable option because I see the value of my life. And for the first time in my illness, I’m actually taking positive steps to help stave off depression. The first step was recognizing the persisting sadness — it’s been longer than a week, this is more than a bad mood. The second step was making an appointment with my therapist. And the third, and probably the most important step, was sharing how I was feeling with my husband and parents (my main support system). This third step has always given me the most trouble. It’s not that these steps will guarantee that I will ward off a full blown depressive episode. I’m terrified that it could still happen. I’m intimidated by the thought of changing my medications and dealing with new side effects. I’m scared that I might have to take a leave from my job. I’m horrified by the potential of another hospital stay. But at the end of the day, even if all of this happens, at least I know I tried. And that’s something. A version of this piece originally appeared on Healthy Minds Canada. It was also published on The Huffington Post’s Stronger Together.